• Simple and colorful illustrations and rhymes about Yellowstone • Wonderful to read aloud, a great shared experience • A celebration of one of America's greatest national treasures • "Hello!" 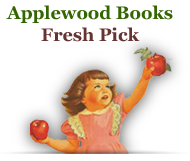 board books have sold 40,000 copies since their debut in 2009 • Other available "Hello!" titles are: Boston, Cape Cod, Maine, Philadelphia, Rhode Island, Vermont, and Washington DC • New "Hello!" 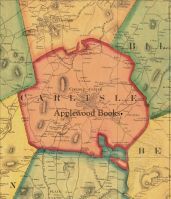 books for 2012, along with "Hello Yellowstone!" are: "Hello San Francisco!," "Hello Chicago!," and "Hello America!." 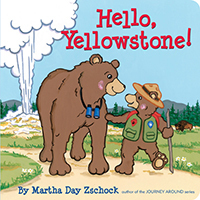 In this board book from bestselling children's author-illustrator Martha Day Zschock, a parent and child bear explore Yellowstone National Park. Join them as they discover shooting geysers, sizzling hot springs, and bubbling mud pots. Come along as they meet some new friends — wolves, bison, and grizzlies who will introduce them to this unique and very special landscape. After a fun-filled day of hiking, boating, and fishing, they'll sleep under the stars and dream of their next adventure! For ages 2-5. Made in the USA.